The first all digital science textbook, Life on Earth, is due to be completed within the next two years. 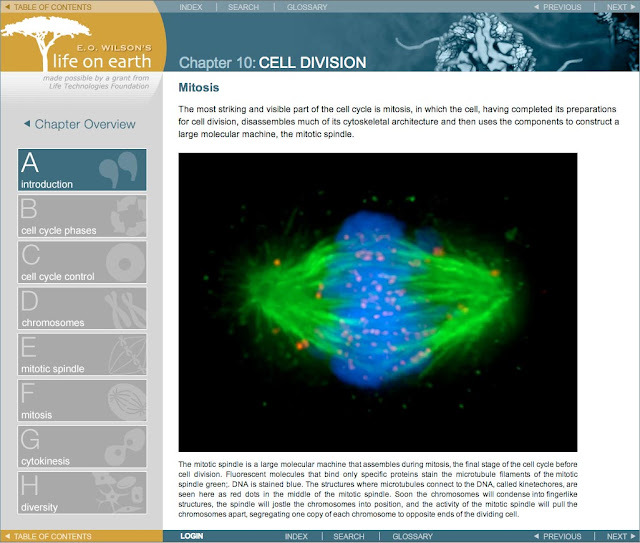 The authors of the digital textbook, the E. O. Wilson Biodiversity Foundation, plan to release each chapter as it is completed, with the first chapter (on Cell Division) being released within a couple of weeks. The textbook will be completely free to download too and should be available on various formats from iPad to PC. The new text book will contain an abundance of animations, videos, sounds as well as text to enhance the learning experience and move away from the age of static print texts. Below is a short video containing more information about the textbook and the likely content - I am so excited!